Townhouse is conveniently situated, just a ten minute walk from Carlisle city centre and only five minutes by car from the M6 motorway, junction 43. The owners, Christine and Duncan are always on hand and pride themselves on providing a high quality service, with a relaxing and friendly atmosphere, which has seen guests from both overseas and the UK want to return. Our house was originally built in the late 1800's and owned by a Duke as a large family house. In recent years we have made some significant refurbishments to provide an excellent standard of accommodation for guests. 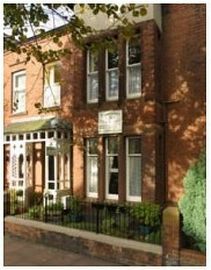 We have taken care however to ensure the character and many original Victorian features have been restored and retained. 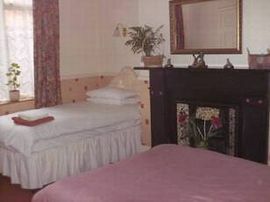 All our rooms are centrally heated with tasteful decoration and furnishings. 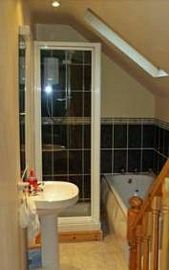 We offer single, double, twin and family en-suite rooms and also have two single standard rooms, which share a separate bathroom. Other Townhouse facilities include, cot and high chair, iron and ironing board and free access to the Internet and wireless facility. If you need a taxi or want to book a restaurant just let us know and we can do this for you. 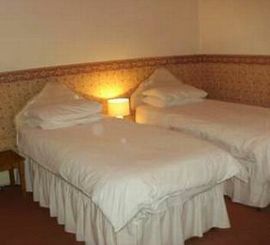 In all of our rooms we promise you a comfortable stay. Carlisle is an excellent stop off point, if you are travelling to or returning from the Lake District National Park and Scotland, but there is also much to do and see in and around the historic Great Border City. This all contrasts beautifully with a vibrant modern day city, where the cathedral and castle sit along side some fantastic shops, bars and restaurants. We can help with planning your trips out and provide you packed lunches, maps, cycle storage and much more. Pet Facilities: Pets are allowed. Pets are very welcome but we ask that they are not left unsupervised in the house. Special Diets Provision: Special diets are catered for. Vegetarian. All other special diets can be accomodated with advanced notice. From the roundabout at M6 motorway junction 43, follow the signs for Carlisle and head straight on towards the city centre and railway station. This takes you past the Tesco supermarket and Carlisle United football ground. You will come to a set of traffic lights with a large church (St Aidans) on the right hand side. Keep in the left hand lane heading towards the city centre. You will see our sign approximately 200yards further on the right after the church. A row of tall trees line the road on each side. From the main entrance of the station, walk straight ahead and across the main road with pedestrian lights. Keep heading straight for approximately 200 yards; you will walk along a crescent of shops with the old court buildings to your left. Take your first right at the end of the crescent. You are now on Warwick Road and need to walk for approximately ten minutes. You will go past the main Post Office and Crown Courts. Leave the bus station and turn left on to Lonsdale street. Walk to the end of Lonsdale Street, turn right and then first left on to Warwick Road. Walk along Warwick Road for approximately five minutes. We are on the left hand side, look for house number 153 or our B&B sign.